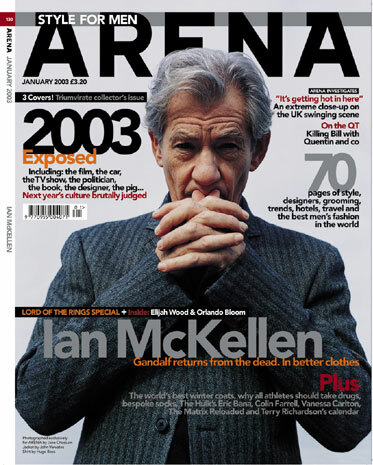 "IAN MCKELLEN - A KNIGHT AT THE HARMAN"
A newly devised solo-show at the Harman Theatre to raise funds for the Shakespeare Theatre Company in Washington DC. 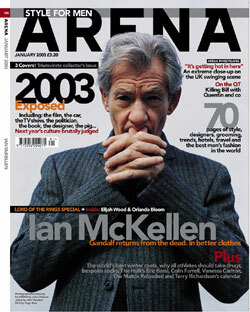 "Shakespeare: How His Text Helps the Actor"
Ian McKellen Live on Stage! On Thursday, May 11 (8:30-8:37 PM ET/PT), McKellen will introduce an exclusive seven-minute preview of Twentieth Century Fox's upcoming "X-Men: The Last Stand." The special, which includes a sneak peek of the movie, is a must-see for fans of the blockbuster" X-Men" franchise. Check out never-before-seen clips featuring two characters new to the film franchise - Beast (Kelsey Grammer) and Angel (Ben Foster) - in addition to returning characters Storm (Halle Berry) and Wolverine (Hugh Jackman). As a bonus for "X-Men" fans, Stewart joins McKellen on Friday, May 19 (8:00-10:30 PM ET/PT) to host the World Broadcast Premiere of "X2" on FOX. Throughout the night, they will check in to introduce the newest mutant heroes and villains from "X-Men: The Last Stand." "Marine Wind Scales and Weathermen"
Sir Ian will introduce the day with a recital of "The Beaufort Scale." For details and to book tickets call 020 8312 8560. Beginning 3 October, you can bid on an envelope created by Ian McKellen at Pushing the Envelope. 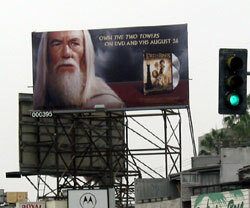 Patrick McGrath, Sir Ian McKellen, David Mackenzie, Mace Neufeld and Natasha Richardson are scheduled to attend. Call (212) 327-2253 for details. Sir Ian will be one of the leaders in the march from Hyde Park and will address the Rally in Trafalgar Square on arrival. Tickets from Odeon Covent Garden box office 0870 505 0007. Sir Ian and other cast will attend a reception celebrating the "Lord of the Rings" themed storefront, designed by Dan and Chris Hennah. No additional reservations will be accepted. 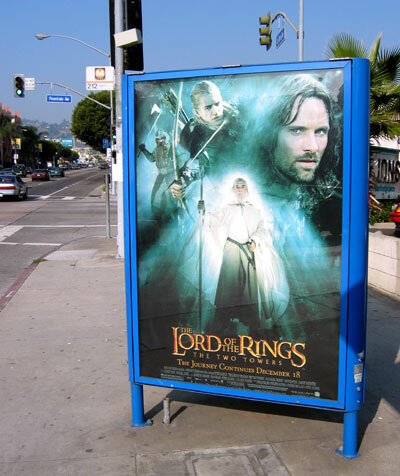 Frodo, Gandalf, Aragorn, Saruman, Sauron and Gollum are each featured on their own 50c coin, produced by the Royal British Mint and legal tender. From Sir Ian's remarks at Manchester Europride. “2003 is the year we finally repeal Section 28. But that’s not enough. When the Church of England can’t make up its mind and join the human race we still have much to do. Now we have to start education for young people, educate them about health, homophobia and all those things. “The most stylish theatre in the UK today was here on the streets of Manchester. “When I saw the faces of the people lining the streets as I rode through Manchester in the parade, tears of joy ran down my face. Kids, old people, mothers, grandparents and a real racial mix – it was tremendous. And not a single person objecting to us being there. Sir Ian McKellen, patron and neighbour of The Space, invites the audience to ask questions about his llife and career. All ages welcome. Tickets booked in advance only by telephone 0207 515 7799 or email. 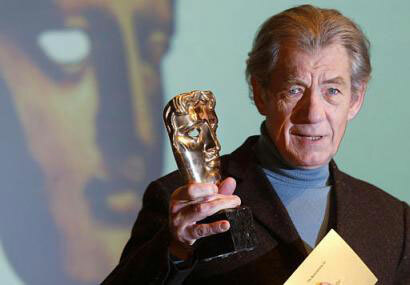 Sir Ian announced the nominees for the Orange BAFTA awards, including nine nominations for THE TWO TOWERS. 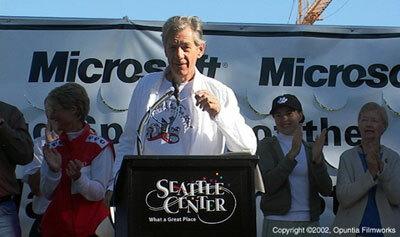 Sir Ian was "Celebrity Grand Marshal"